There are instances when your refractive error is too high, or your cornea is too thin, that laser refractive surgery isn't a good choice. 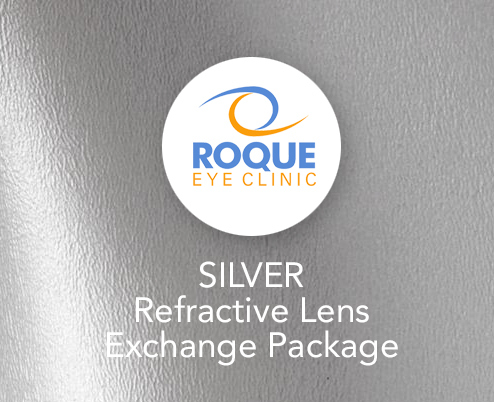 Individuals who do not qualify for refractive surgery and are intolerant of eyeglasses or contact lenses may benefit from Refractive Lens Exchange (RLE). 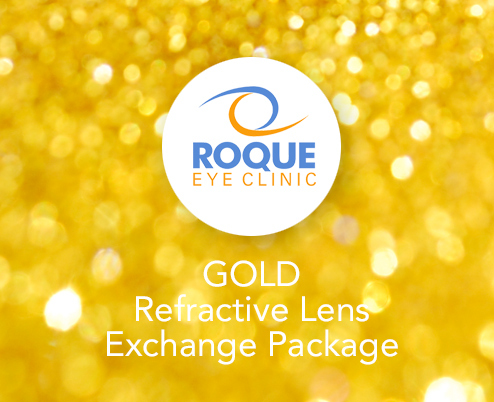 This is also known as Clear Lens Extraction And Replacement (CLEAR). RLE/CLEAR is basically the same procedure as cataract surgery in an individual without cataracts, and possessing a high refractive error, with a desire to be spectacle independent. All the machines, and procedures used in cataract surgery are utilized and performed in RLE/CLEAR. Most insurance companies and Health Maintenance Organizations (HMO) do not provide coverage for premium FLACS. Philhealth provides basic coverage subject to a 5-day pre-approval process. Choose this package if you wish to say goodbye to manual incisions and blades, and say hello to laser-precision, improved healing, faster visual recovery, and better visual outcomes. Most insurance companies and HMOs provide coverage for phacoemulsification cataract surgery. Philhealth provides basic coverage subject to a 5-day pre-approval process. If bladeless femtosecond laser-assisted cataract surgery is desired, please choose the Platinum packages instead. Most insurance companies and HMOs provide coverage for phacoemulsification cataract surgery. Philhealth provides basic coverage subject to a 5-day pre-approval process.